I don’t listen to Nolan. I never do. It’s bad for your health. Whilst I was penning my suggestion for a ferry link prior to the bridge being built, Councillor Chris McGimpsey of the Ulster Unionist Party was on the show, complaining how no one from the Ravenhill area came to him supporting the Gasworks Bridge. Quickly, a number of residents of the Ravenhill area responded they’d love to see the bridge. 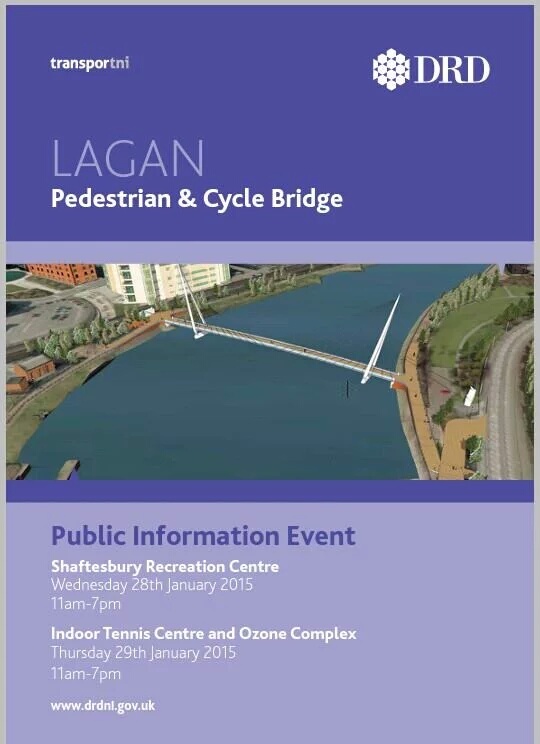 @CllrMcGimpsey @nigreenways I think the bridge is a great idea. Ravenhill Resident. @CllrMcGimpsey @nigreenways Let me fix that. Me. @CllrMcGimpsey @nigreenways Hi there Chris, I'd be more than happy to speak to you as a Ravenhill resident in favour of the bridge. There is now an open letter, and a petition all supporting the Gasworks Bridge. The case for the bridge needs no restating. But let’s do it anyway: It’s good for Belfast, good for relieving congestion, good for the Ravenhill and the Lower Ormeau. It is good for office workers in the Gasworks. It is good to encourage cycling and walking and therefore good for all of our city’s residents’ health and wellbeing. The bridge will cost £7m to £9m, but the return for our city will be many, many times more. So, prop up the Bridge. Support it. Sign the petition. I have emailed Councillor McGimpsey saying I’ll be arranging a petition handover next week. Keep your eyes out for an announcement about when and where. And I hope to see you there! Pingback: Whisper this but.. are we about to get the Gasworks Bridge?